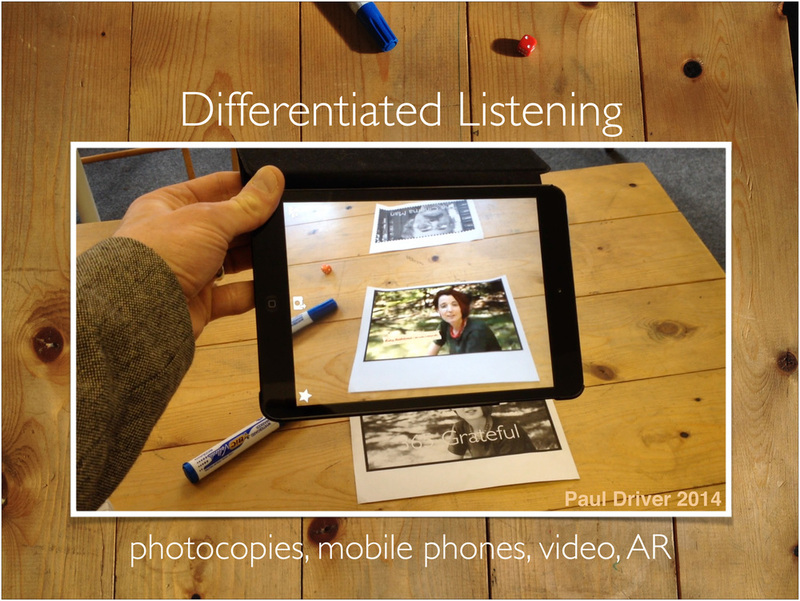 This year I've been using augmented reality to create differentiated video listenings for my fairly diverse intermediate group. Learners can take control of the material and listen multiple times. Using the headphones connected to their mobile devices they can simultaneously work on different (though thematically linked) material. The headphones also enable them to listen in a more focused way. I had a lot of fun giving this session and there were some great questions at the end. Subjects covered included the use of augmented reality, green screens and digital video production, GPS-based pervasive games, the SAMR framework, project-based learning and tactical urbanism. One of the core themes was taking a combinatorial approach to exploring the affordances of mobile technologies. When considering which apps to use for a project the sum can be more than the parts, and collections of apps that work together might be considered as 'constellations of affordance'. A workshop with a practical "how-to" focus will follow on March 27.